Since 1978, The Lookstein Center at Bar-Ilan University has been a central force in global Jewish education. 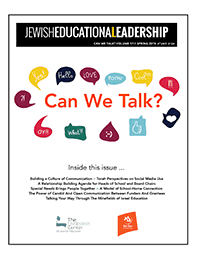 While its approach has always been a fusion of educational practice and academic research, its impact has been concrete: supporting hundreds of Jewish schools across the world and impacting on the lives of thousands of educators and hundreds of thousands of students. From more traditional programs like teacher training and curriculum development to its pioneering work with virtual networks and online learning, this dual-pronged approach has made The Lookstein Center’s name synonymous with quality Jewish education. The Lookstein Center for Jewish Education is a registered non-profit organization in the United States and in Israel.